Where the products come from? Long time since I wrote here. Lucky me, I can blame Christmas. To be honest I did not know what to write about. Finally I decided to write about where my products comming from. I mean how an idea develops into a new product and how the name develops. Well, idea for new products and its design can pop up from almost anything. You can go the easy way and copy products from chef google. No one will tell, but everybody do it. For me, there is no one way for it. Just have to try with no fear from failure. Sometimes we get the best products from doing big mistakes. Chocochees – I met a guy that has nothing to do with chocolate. We spoke about a lot of things and one of the things he told me is that when he was young in Russia they had some kind of chocolate bar from chocolate and cheese. He did not tell me what kind of chees, how it look like or what was the flavour. From the moment he told me that I started to think of how can I combine chocolate and cheese. It was all in my mind. At the next night I start making whatever was in my mind. The process was not easy, and it did not worked at start but after few hours I got product I could be proud of. I set another meeting with this guy, let him tast my chocolate chees truffle. He was absolutely surprised to know that this was the result of his story about his chocolate memories from long time ago in Russia. Must tell you it is not even close to the chocolate bar he told me of. But, hey, from story about strange chocolate bar I got one of my best seller. The name for this product is easy – chocolate + cheese = chococheese. So as we said at start products idea can pop up from anything we do, feel, hear, see. We just need to open eyes and ears all around us and keep open mind. Welcome to the first post for the R&M Fine Chocolate blog. I Will write to you once a month (I hope) to update you about the things we are doing at R&M Fine Chocolate, let you know about new/old chocolate trends and some facts about chocolate. For my first post I would like to tell you my story (shortly). How this chocolate thing started for me. I studied economics at the univercity, worked as economists at a milk companey for four years and at huge global chemistry company for almost 11 years. For the last five years at the chemistry company my roll was supply chain manager. During the years I develop small hobby – chocolate making. I was so amazed from the thing called chocolate, I decided to find out how it is made. 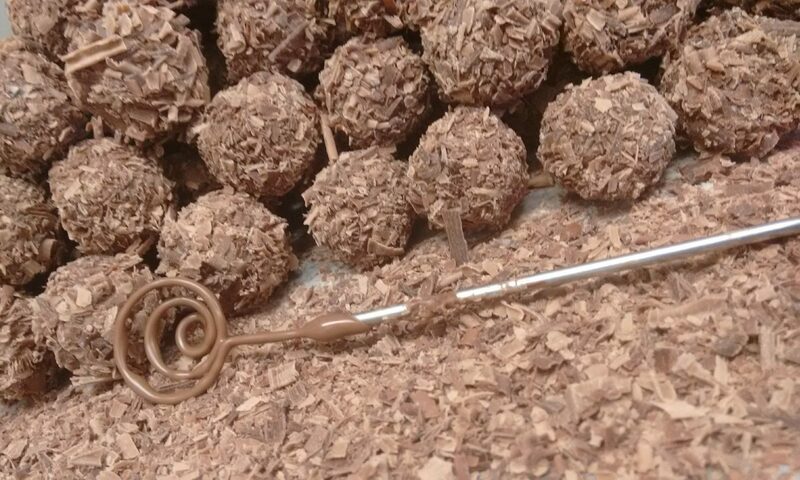 I found myself doing chocolate making courses, where I learned to make truffles, pralines and other chocolate products at several techniques. I must say I was so lucky to find the best chocolate teacher in the world. For the first years I made chocolate products only for my family and friends. After few years of doing it, learning from anyone willing to, reading any chocolate book I could find, my products become better and better. Slowly I started to trully understant the materials I am working with. But most importent I started to develop my own unique recipe and unique style. From this poind I called myself Chocolatier. At this point the hobby go so big, I had to choose – the safe job or the hobby. I picked the hobby. Today I am R&M Fine Chocolate, located at the heart of Prestwich Manchester, I am doing everything from chocolate products to packing and accounts. But most importent my product are all mine – my recipe, my style.